At the beginning of 2016, I took a decision that I was going to run my first marathon. I have to admit that I was making the same promise every year, but I have never kept it! But, when New Year’s Eve holidays ended I just started running and this was a good sign! As the months were passing I keep up running but not in full mode. 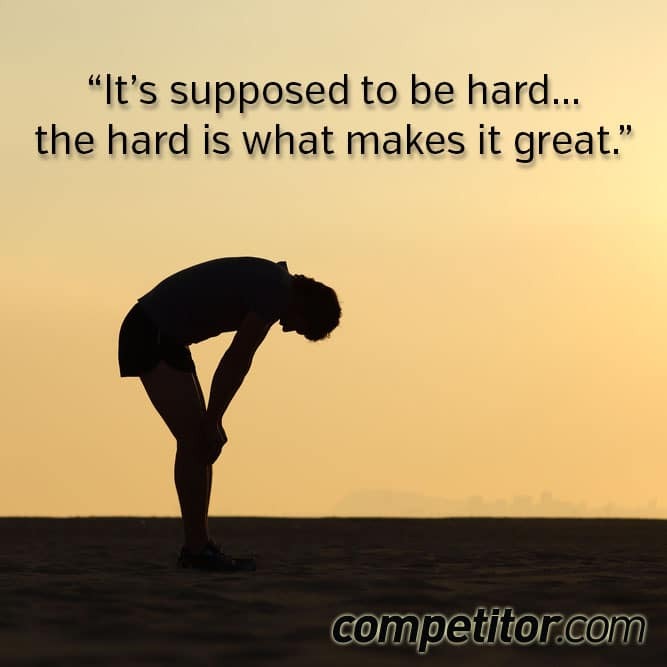 The appearance of injuries and my inexperience in marathon training had as result my whole training schedule to be far from the ideal! 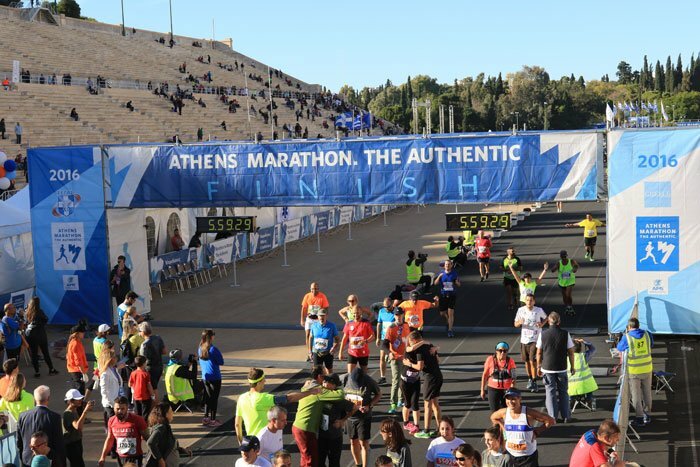 But, whatever the outcome of the training was, I was determined to run my first marathon in one of the most iconic and difficult routes, the Authentic Athens Marathon! 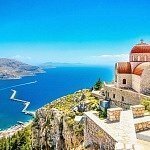 A hilly route that follows the steps of the Greek messenger 2300 years ago. He – some claim that this man was Philippides – took part in the battle between Athenians and Persians in Marathon area. 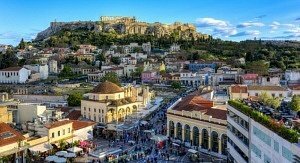 The battle was a total victory for Greeks and the messenger wearing his armour run to Athens to transfer the message, as there were no smartphones and no Facebook Live at that time! And according to historians, when he arrived and announced the victory, he died shortly thereafter from exhaustion! So, my initial goal was to run this route and at least stay alive!!! A reasonable goal I think! 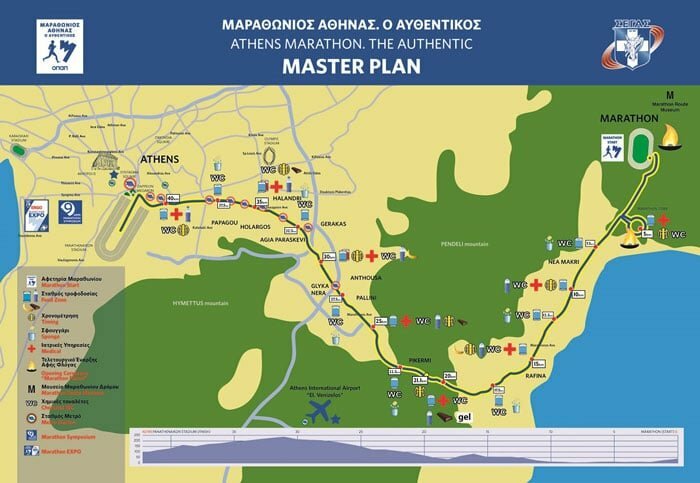 You can check the above map of the course and find more details in the official page of the Authentic Athens Marathon! The day before the race, I did the minimum effort relaxing and hanging out with friends and go to bed very early. But apparently, I was so stressed that I couldn’t sleep! The outcome; I slept only 2.5 hours! The studies say that it doesn’t matter how much someone slept the night before the race but the 2 previous nights! This didn’t prevent me from feeling sleepy, despite the studies! But, I woke up, ate my usual breakfast, wore my running outfit and I was ready! 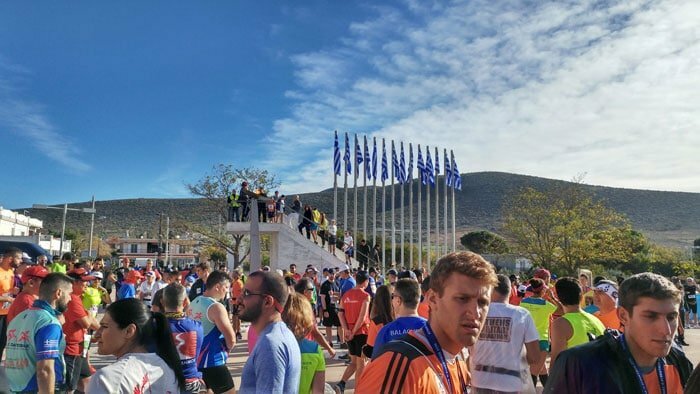 If you are interested in running this marathon race you have to be aware that the streets are closed some hours before the race so there buses by Organizing Committee that transfer you from the centre of Athens to Marathon town. The whole event is very well organised, so there is nothing to worry about! Everything will be covered by the Committee! Except running the route. This is up to you! So, with some friends, we took the bus and arrived in Marathon. 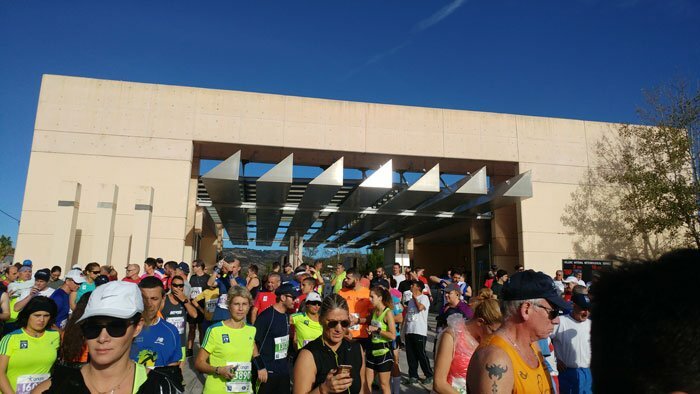 We arrived 2 hours before the actual race begun, so we had plenty of time to familiarise with the area, relax, see other runners and try to have fun, as much as we could! The gathering point is around a stadium that has been built there and there is space to warm up. Everything is well organised, as I have probably mentioned already! There is music that keeps the mood and energy up, plenty of toilets, water stations and also DHL lorries that you could leave your stuff there and take them back at your finish 42 kilometres away!! So, everything was in place. 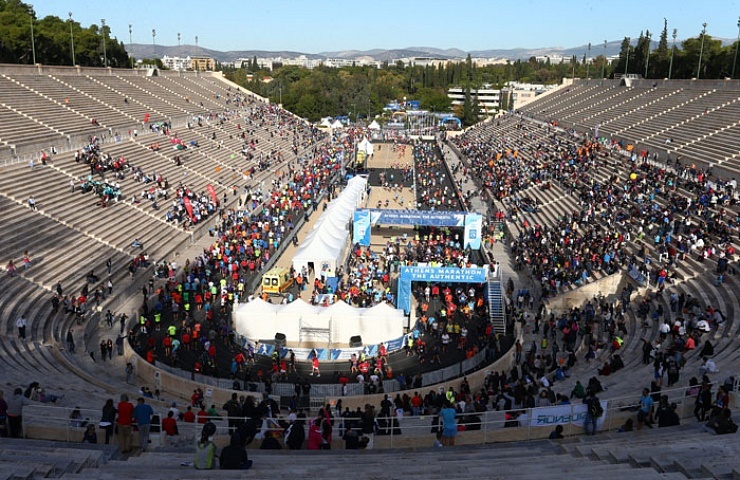 18.000 people were ready to follow Pheidippides’ steps and transfer the message to the world that they made it!! The first blocks (there were 10 blocks with 1.800-2000 people each) started and my turn came. I was so nervous but also relaxed at the same time! And the race started! I followed my friends’ advice and I started slower that I had planned. The first 10 km are quite effortless and many starts running faster than they should due to slightly downhill and adrenaline. But, there was no hurry to run fast and spend my energy. So, slow and steady! The first kilometres were fine. Many people from Marathon and Nea Makri town were cheering up and motivate us. The race was going well, except the very hot sun! It was 20 degrees that day and no cloud in the sky! I used the water from the stations (every 2.5 km) to drink some sips and with the rest of the water, I was “bathed” to relieve some of the heat that I was feeling. We passed around the Marathon tomb. 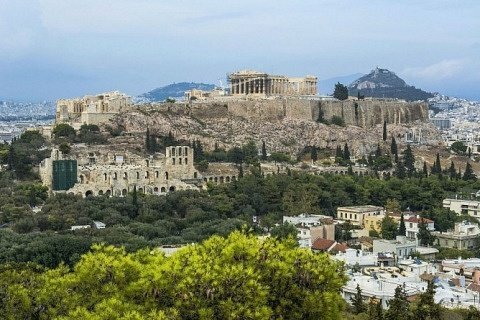 The Athenian soldiers who had lost their lives during the battle between Athenians and Persians were buried right there. I immediately felt a little bit strange as I was thinking the whole historical events and background behind this modern marathon race. But very soon, my thoughts will be interrupted by…. pain. It was around 8th km when stitches came up. At the beginning very mild but after 12th km, the pain was increasing. Every km that I was running I felt even worse. I knew that I should probably improve the way that I was breathing and slow down my pace. But it didn’t work. After Rafina around 18th km, the inevitable came. The hilly part of the marathon had begun and it worsened my condition. I had to do something that I was trying to avoid by any means. I had to walk. There I realised that I wasn’t the only one! Many people due to the heat and the hills were walking. I cursed myself for happening that to me but I didn’t have any other choice. After a while, I started again to run in a slow tempo. The stitches were still there! My plan was to try not to think about it (I have to admit that it didn’t work perfectly!) and also put some short term goals to achieve, like wait till the next station to grab some water and energy drinks. When I arrived at 25th km I started thinking about quitting. It didn’t make any sense. I was in such a pain and I couldn’t breathe properly. I was just thinking to wait until 28th km after Pallini, where some of my relatives would wait there. I couldn’t disappoint them. As soon as I saw some familiar faces who I love and respect and heard their words “congratulations” and “you almost there” (whaaaaaat?! ); I knew I couldn’t quit from my first marathon. And also I knew that the worst part of the Athens Authentic Marathon route is till 32th km and then there is a downhill. So, I continued running as much as I could. 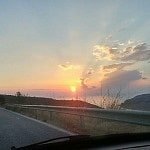 In Agia Paraskevi (around 33th km) I met other relatives (I know, we are one big Greek family!) trying to cheer me up! I just smiled (inside I was crying!) and tried to keep on running. In 35th km I knew that I couldn’t run too much..the pain was so strong and also my breathing was very short and heavy. In some parts, I was running with closed eyes! I was looking all these people next to the streets boosting and encouraging us and I felt even worse that I couldn’t run properly. And of course, I didn’t even care about my time. My only purpose was to complete the race walking or even … crawling!! The remaining kilometres were reducing in extremely slow pace and I was now in the heart of Athens centre, which meant that there were more people to cheering us up and also there was music, dancers etc. A total party for them, but to be frank I couldn’t describe it’s a party for me! And finally, 600 meters before the end I turned left on the road just behind the parliament and I knew that I had only a few hundreds of meters more to run. But, when I turned on the road left I noticed that in front of me were 20 runners that they were running and pushing people in wheelchairs!! Yes, they were disabled athletes and their companions. They had run the whole route, the whole 42 km, pushing and supporting the athletes with disabilities. And I was in pain due to some stitches…??? I felt really bad for me and really proud that there are people out there that push hard themselves in any circumstances. I speed up ignoring the pain and I had my eyes looking at the stadium where the end of the race was. Five meters before getting to the stadium I heard my name and I recognised familiar faces and voices! My parents and my friends were there! What a total happiness! 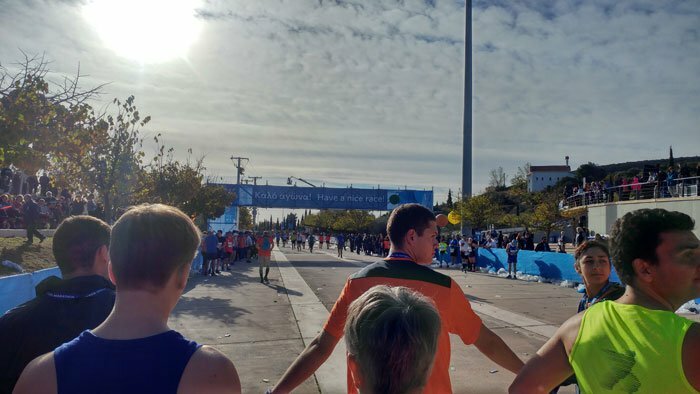 I finished the race looking at the crowd inside the Panathinaikon stadium, where the first modern Olympics in 1896 took place. So, many emotions! After nine months of training, running early in the morning or late at night or during weekends, I managed to finish. Not at the time and not with the enjoy as I hoped but I did it! At that moment I promised myself that if I am ok next year I will be there to challenge again myself and beat my fears and my time! So, if you are thinking of running your first marathon and you are not sure, I think this story won’t convincing you. To be frank no one will, except you! 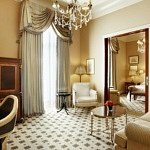 You can share your thoughts in a comment or just ask us if you have any question! 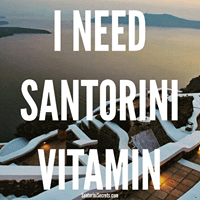 If you like the post, don’t hesitate to share it! We totally ok with that!! 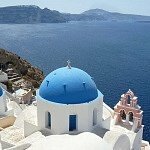 Newer7 +1 museums in Athens that you have to visit! 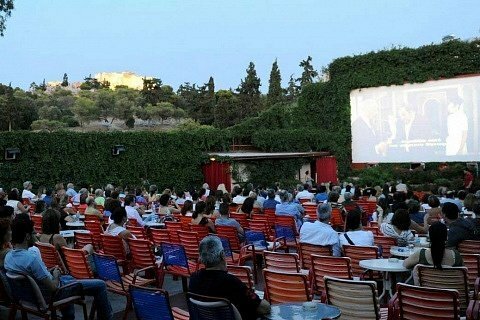 What a great and rewarding way to visit Athens! 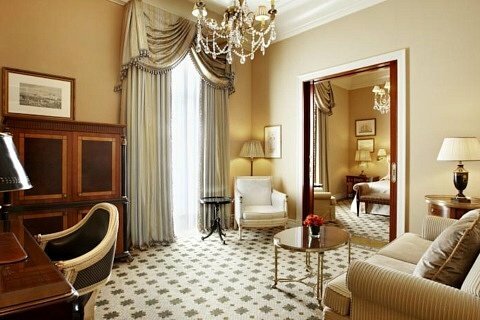 Thank you for sharing your experience with us and congradulations for your admirable stregth! This is the result of your hard work all through the year. So enjoy every bit of it. Well done!